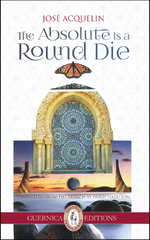 We are pleased to announce that Jose Acquelin’s The Absolute is a Round Die trans. Hugh Hazelton and Emmanuel Merle’s Elsewhere on Earth trans. Peter Brown have been longlisted for this year’s ALTA National Translation Award in Poetry! The National Translation Award awards $5,000 annually to a literary translator who has made an outstanding contribution to literature in English by masterfully recreating the artistic force of a book of consummate quality. The NTA is the longest-standing prize for a work of literary translation, and the only national award for translated fiction, poetry, and literary nonfiction that includes a rigorous examination of the source text and its relation to the finished English work. The 5-title shortlists will be announced in September. The award will be announced at ALTA’s annual conference held in Tucson, AZ from October 28-31. 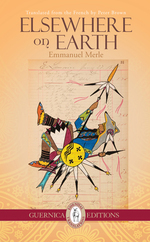 The collection Elsewhere on Earth chronicles French poet Emmanuel Merle’s three-week road trip through the American West in a rented blue Chevy. What he finds is the wilderness at the heart of his own broken traditions, his “congealed” humanity, his failed love. It is a frenetic, musical poetry made of desire, fear, and speed. Tagged with ALTA, Elsewhere on Earth, Emmanuel Merle, Hugh Hazleton, José Acquelin, longlist, National Translation Award, Peter Brown, Poetry, The Absolute is a Round Die.